That’s it! 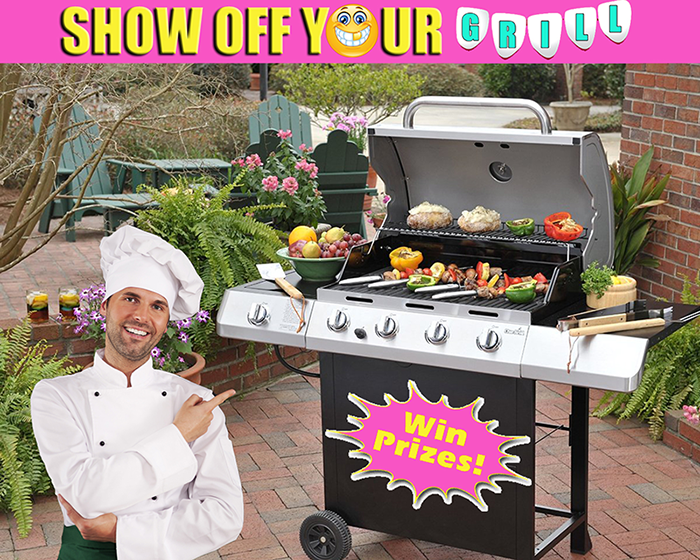 The entrant with the best, funniest, or most unique “smile photo” will win the BBQ Grill along with an awesome apron. Heck, it doesn’t even have to be YOU smiling — it could be a photo of a friend, your pet smiling, or even a comment with a smile emoji. So say cheese, get to smiling, and show off your grill today! Good luck!! !